A Lean Six Sigma Black Belt has a thorough understanding of all aspects of the Lean Six Sigma Method including a high-level of competence in the subject matters contained within the phases of Define, Measure, Analyse, Improve and Control (DMAIC) as defined by the IASSC Lean Six Sigma Black Belt Body of Knowledge™. 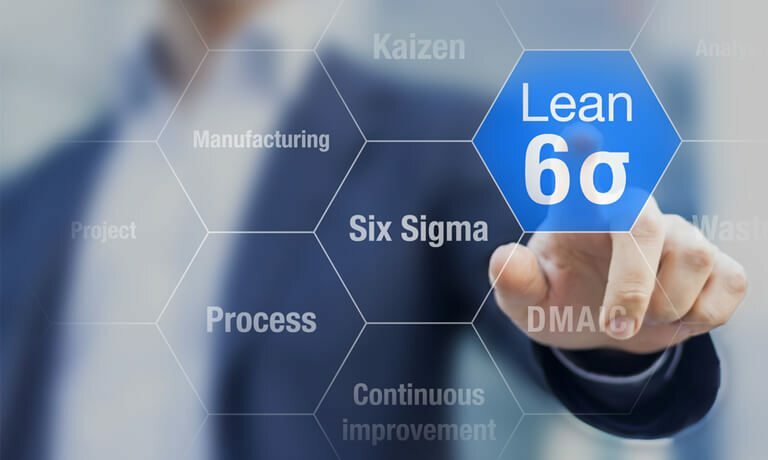 A Lean Six Sigma Black Belt understands how to implement, perform, interpret and apply Lean Six Sigma at an advanced level of proficiency. The basics and meanings of Six Sigma. The general history of Six Sigma & continuous improvement. The Lean Six Sigma five phases. Six Sigma roles & responsibilities. The voice of the customer, business and employee. Problem solving strategies and techniques. How to synchronise the supply chain for flexible operations. How to lead Lean Six Sigma projects in any organisation. To become certified you must sit the IASSC Certified Black Belt official exam. This course includes Lean Six Sigma Black Belt official Exam, so you won’t have to pay extra for it. If you pass the exam successfully then you will be awarded an IASSC Certified Black Belt (ICBB).